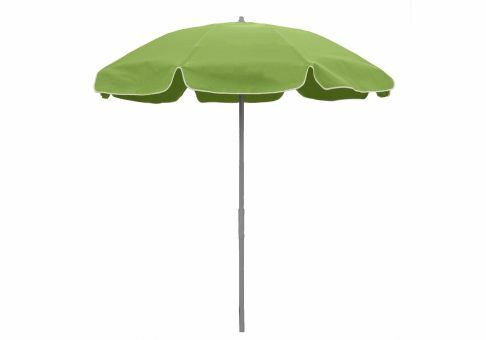 The 7.5 ft. Sunbrella Gingko Patio Umbrella features a durable Sunbrella awning-grade canopy in an understated green. This versatile Ginkgo green easily coordinates with many fabrics and is the perfect shade for any setting. Sunbrella awning grade fabrics feature a 10-year warranty against fading and loss of strength. This warranty does not cover normal care and cleaning or damage from misuse or abuse. The diameter of the umbrella pole.